For the road ahead can be weary and long. But do not wither or give up! Keep looking straight at where you are going. I took this interesting photo during my recent trip to Hong Kong. The defiant and proud body language of the elderly man in the middle was a strong contrast to the statue and others sitting around him. It's an inspiration to me. 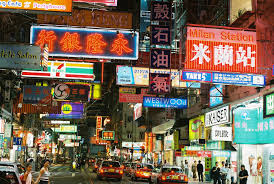 I'll be flying off to Hong Kong this Monday for 10 days of free and easy walk walk see see. Besides Shanghai, Hong Kong is a city that I know very well. I've been to Hong Kong many times. But the most memorable trip is still my first trip there in 1997. It's a business trip extention where I spent 5 wide-eyed days totally amazed at the contrasting sights and sounds. Hong Kong is definitely the place to seek your fortune/career if you find the working pace of Singapore too slow for you. Just stand at Mongkok. If you have entrepreneur blood in you, you will salivate at the opportunities staring right back at you. I'm a city walker. I've always loved getting lost in big cities. 10 days in Hong Kong? You may wonder what's there to do? Precisely! I'm not there to do anything. It would be just like being in Singapore: hungry, eat; tired, rest; curious, explore. Shekou was my first overseas posting. I was there for 5 months before "ah kong" (company) transferred me to Shanghai. The rest I'll play by ear when I'm there. Theory is knowing the name of that medicinal plant. Practice is the knowing where to find this plant, pick it, and turn it into a medicinal brew. Before you read on, can you think of one yourself? It's interesting to hear more and more people are now telling their friends how silly to put money "rotting" in the bank getting real negative yield after you factor in inflation. But there are a few asset class that are good investments even when it's earning no or negative yields. Today, I'll share one asset class in which 80% of Singaporeans live in them. 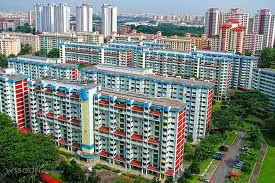 Yes, it's HDB Singapore flats! Unless you have paid your HDB flat in full with cold hard cash, most of us would have taken out a HDB or bank mortgage to finance this one of the biggest big ticket purchase of our lives. And by taking out a mortgage, aren't you paying interests instead of receiving one? It's negative cash flow and negative yield some more!!! Just ask your parents - either they bought directly from HDB or from the resale market. It's better to get your info from real people you trust than from statistics. Some may say HDB flats are 99 years leasehold and is not an asset and all that crap (pardon my french). Eh... Then why are you not renting instead? I listen to what you do; not what you say. We are limited by our own imaginations and the lies we tell ourselves. Some retired or retrenched HDB owners have discovered renting out a few spare rooms can generate some useful rental income. Now, who says great assets must have yields?